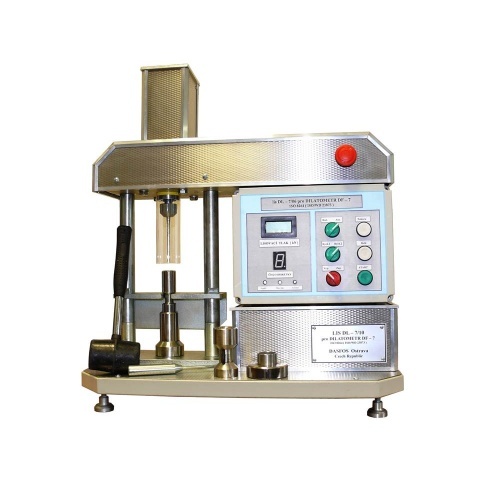 Sample preparation by pressing for the following dilatometric test complies with the requirements of ISO 8264, ASTM 5515, DIN 739, and ISO 349 Standards. 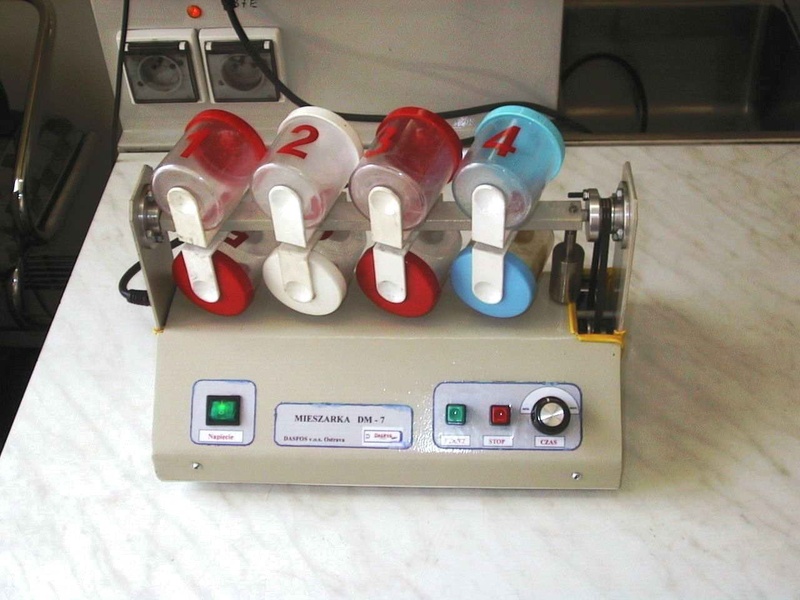 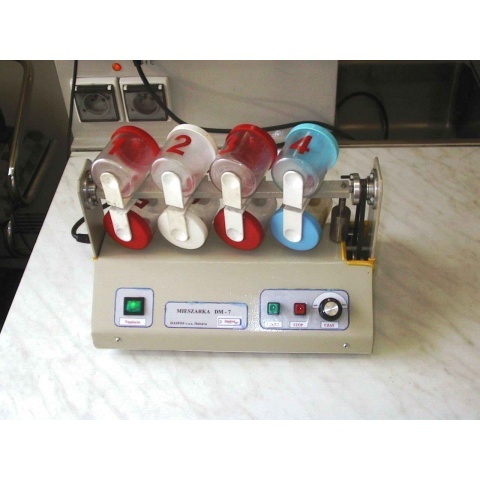 The DM-7 mixer is used before pressing to homogenize the material to be tested. The pressing force is measured by a strain gauge and the entire pressing process is computer controlled. 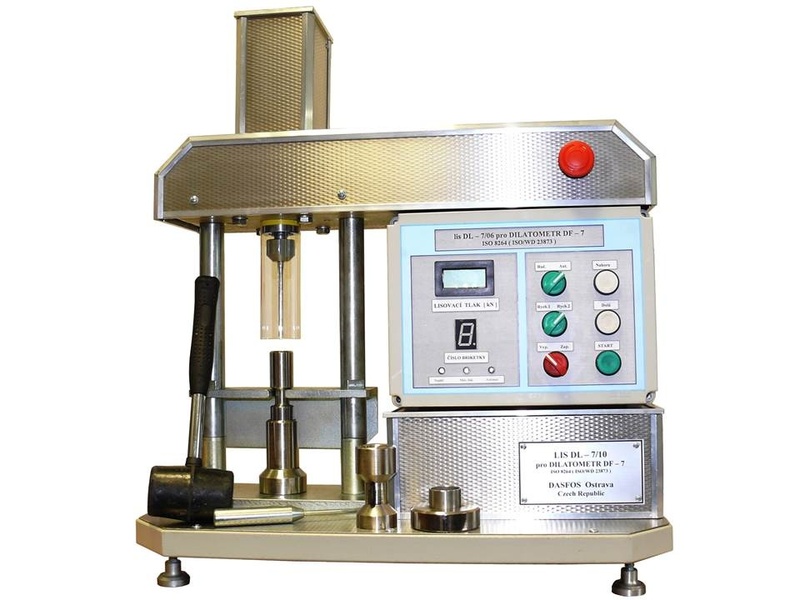 Time plot of compression force is a part of the test report.